Hello! 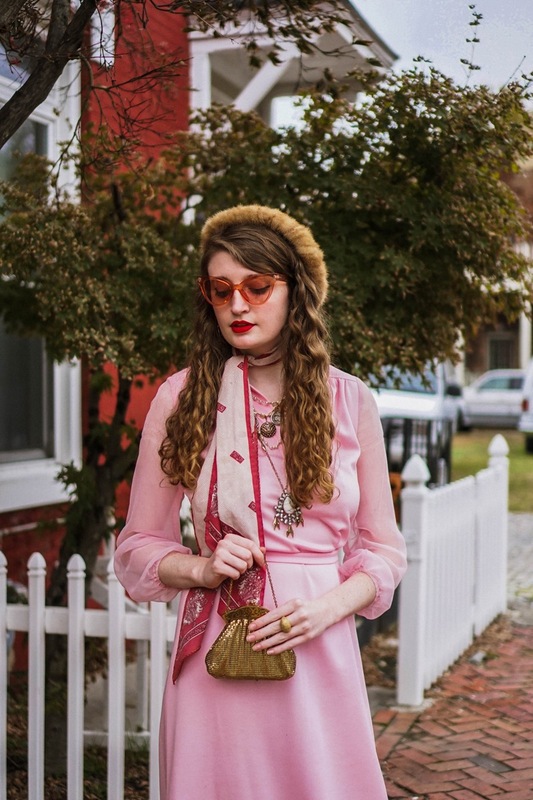 I pulled out one of my favorite dresses in my wardrobe for this look: this little pink seventies number. I scored this pink beauty at a local Richmond thrift shop earlier this year and it's quickly worked its way into my heart. Its feminine pale pink color, dreamy sheer sleeves and classic seventies charm all have me swooning over it. You can see a couple other ways that I've styled it before here and here. 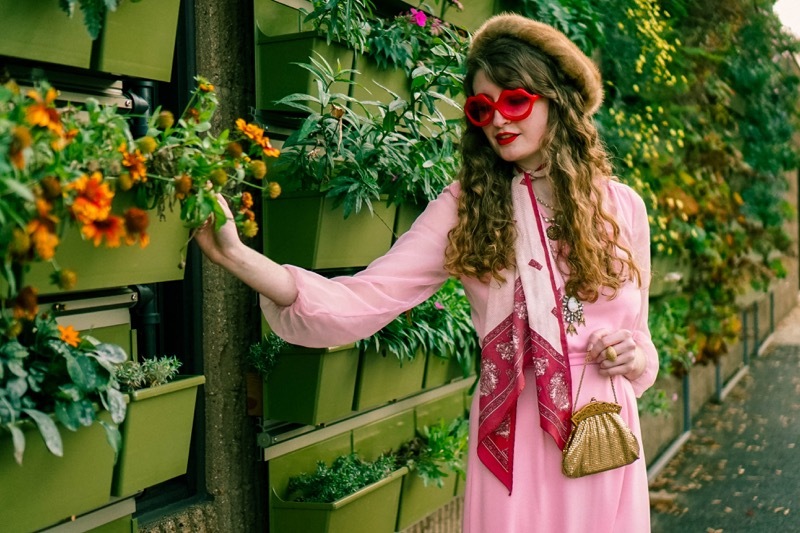 I wanted to play up the seventies style of the dress for this look so I also slipped on a vintage paisley scarf and vintage fur beret. 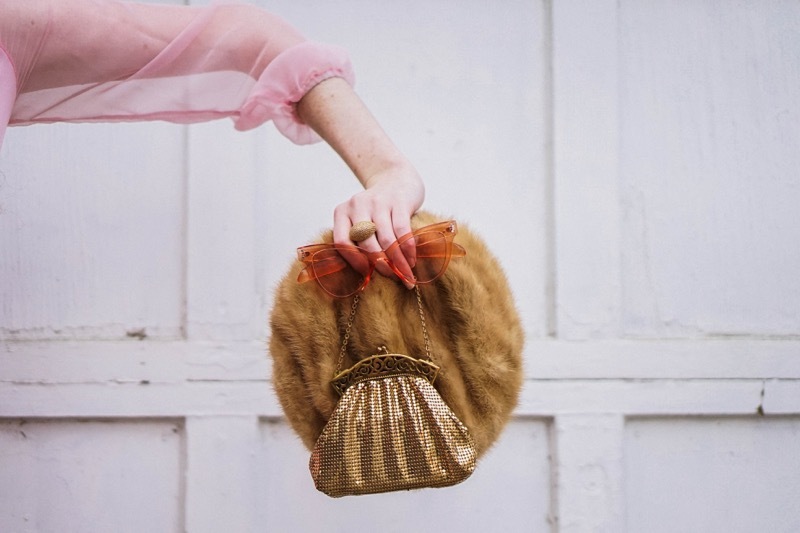 I enhanced the feminine appeal of the look with pearl adorned jewelry and a golden vintage purse that originally belonged to my grandmother. A peachy pink pair of cat-eye shades and paisley platform heels perfected the look. The pink dress shared above is really very attractive. The girl wearing the p[ink dress is very beautiful. Hope to buy the same dress very soon.